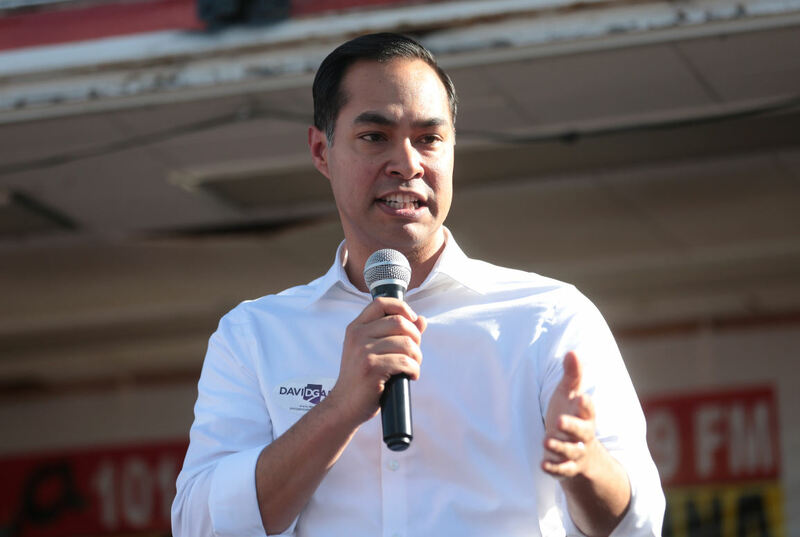 The Mill, Iowa City — Sunday, April 14 at 7 p.m.
Former San Antonio mayor and current presidential candidate Julián Castro will sit down for an interview on the Political Party Live podcast recording live at The Mill on Sunday. Castro is the fourth 2020 Democratic candidate to be interviewed by Political Party Live hosts Stacey Walker and Simeon Talley. In 2014, President Obama appointed Castro Secretary of Housing and Urban Development. At the time, Castro was in his second term as mayor of San Antonio, the seventh-largest city in the country. Castro and his brother were raised in San Antonio by their grandmother, Victoria, who emigrated from Mexico at the age of 7, and their mother, Rosie, a well-known political activist. In 2001, the then-26-year-old Castro became the youngest person ever elected to the San Antonio City Council. Castro’s signature accomplishment during his five years as mayor was creating a universal pre-K program in the city’s public schools. When he announced on Jan. 12 that he was running for president, Castro said creating universal pre-K programs nationwide would be a priority for him as president. Castro was also a strong supporter of LGBTQ rights as mayor, as well as an advocate for a woman’s right to choose. He is in favor of America rejoining the Paris Climate Accord and supports the Green New Deal. Earlier this month, Castro laid out a detailed plan for immigration reform. Part of Castro’s plan involves addressing some of the major issues that compel people to migrate to the U.S. from Central America by creating a “Marshall Plan” to promote economic development in the region. Castro attracted a lot of attention over the weekend, because during an appearance on Real Time, he pushed back against Bill Maher’s saying Joe Biden was right to joke about accusations that he inappropriately touches women. The Political Party Live interview with Castro will be held at 7 p.m. at The Mill in downtown Iowa City. The event is free and open to the public, but space is limited so people are encouraged to register in advance. Previous guests on the podcast have included Sen. Kamala Harris, Andrew Yang and Beto O’Rourke.